Peter Tristram 06/12. Reverse Cross. 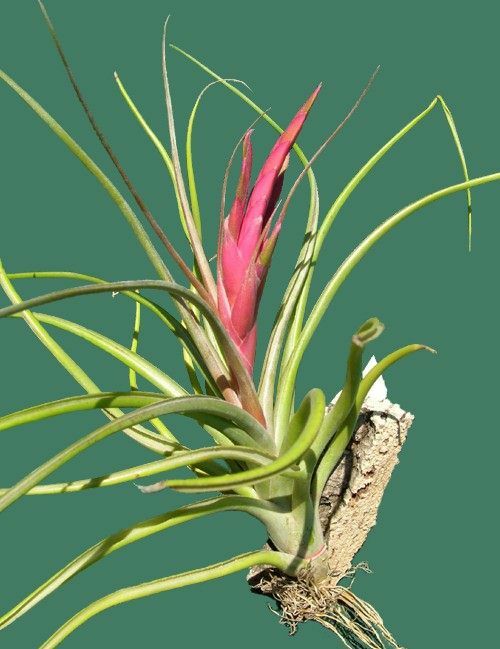 Peter Tristram..."Interesting how certain species &/or flower colour can dominate in a hybrid. 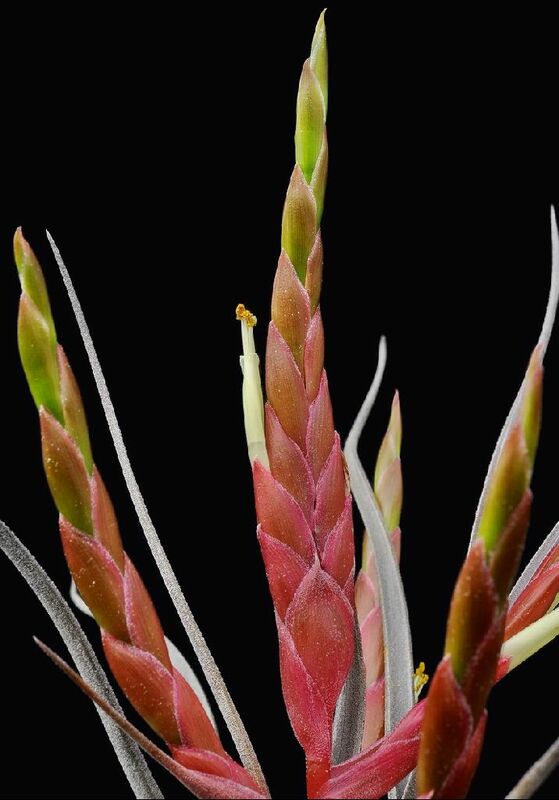 This is T. achyrostachys x bulbosa from Burkhard Holm, somewhat bulbosa shape but silver all over, red flush, but creamy yellow flowers." 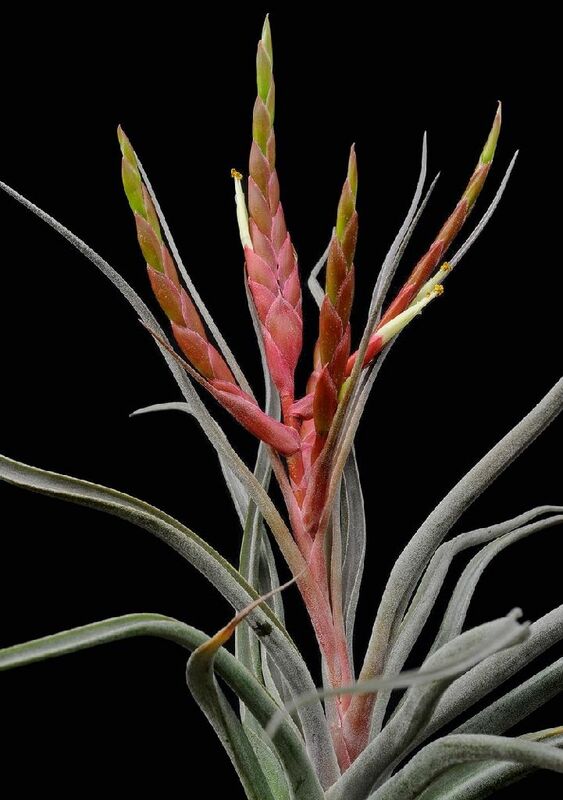 Len Colgan..."That is a very different plant to the Pam Koide cross using the same parent species. This is the only time I photographed the same cross, but it had not flowered at that time. The flowers were purplish, I am sure. The original plant was acquired from Pam in 2006, and I am already into the third generation, which makes it a steady bloomer. Of the four Pam Koide T. achyrostachys crosses that I have, this is the fastest grower. 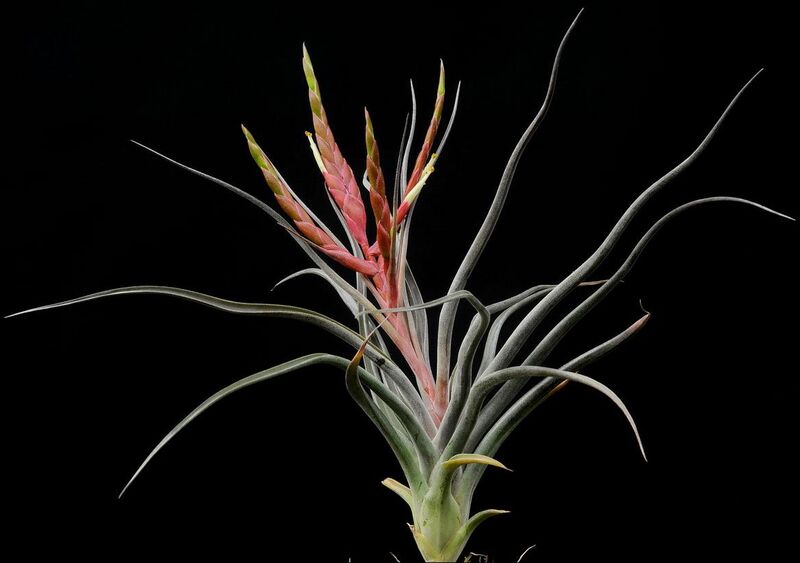 I did show the much more attractive T. achyrostachys X carlsoniae to this group earlier, and the cross with T. ehlersiana is just showing a hint of coming into spike. The fourth cross is with T. schusteri. Knowing how long that species takes to flower, I might still have quite a wait, even though the cross has produced a fair sized plant.